VANCOUVER, March 19, 2019 /CNW/ - Filo Mining Corp. (TSX-V and Nasdaq First North: FIL) ("Filo Mining" or the "Company") is pleased to announce its results for year ended December 31, 2018. The Company had another milestone year in 2018, which centered on the support and undertaking of a pre-feasibility study ("PFS") at the Filo del Sol Project (the "Project") managed by Ausenco Engineering Canada Inc. The PFS was completed shortly after year end, with an effective date of January 13, 2019, and the results support the Company's ongoing assertions that the Filo del Sol Project holds considerable size, robust economics, and even further upside potential, particularly when considering that the PFS only incorporates the oxide portion of the current mineral resource, excludes any impact of the sulphide material beneath, and is based on exploration of less than 20% of the Project's vast area. a low strip ratio of 1.5:1 (waste:ore). Remarking on the year, Adam Lundin, President and CEO, commented, "The Company set an ambitious plan for the advancement of the Filo del Sol Project in 2018, and we are proud to present the completed PFS as a result. The PFS improves upon previous project economics and continues to showcase the project's remarkable potential. What's more, our current exploration program has recently yielded some exciting results, which confirm the presence of significant porphyry copper-gold mineralization beneath the oxide resource and the Company's long-time speculation that the oxide material on which the PFS is based is only the tip of the iceberg at the project. 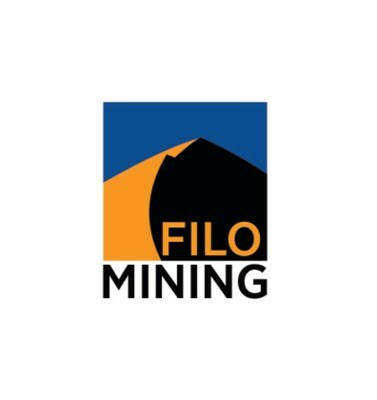 The Company is looking forward to another exciting year as we continue to build shareholder value at Filo Mining." The Company is now analyzing the results and recommendations arising from the PFS to assess its next steps with respect to advancing the project, which may include the undertaking of a feasibility-level study, as appropriate. That being said, the Company also remains cognisant of the fact that all studies and economic analyses completed to date on the Filo del Sol Project incorporate only the oxide portion of the current resource. With a largely undefined sulphide resource underlying the oxide material, as well as the Company's considerable land package, of which less than 20% has been explored to date, the Company elected to simultaneously dedicate some resources to test the exploration potential at the Filo del Sol Project during the 2018/2019 field season currently underway. Accordingly, diamond core drilling began at the Filo del Sol Project in November 2018, with a focus on evaluating the sulphide mineralization, which sits below the oxide layers of the current deposit. The first batch of assay results related to the first two holes of this drill campaign were received and released on March 18, 2018, and confirm the existence of a much larger copper-gold porphyry system underlying the current Mineral Resource as incorporated into the PFS. The first two holes, which end in mineralization, are highlighted respectively by 1,025 metres at 0.30% copper, 0.22 g/t gold, and 1.6 g/t silver, and 613.9 metres 0.39% copper, 0.34 g/t gold, and 1.6 g/t silver. Assays are in progress for a third completed hole, and diamond drilling continues at the Filo del Sol Project with four additional diamond holes as part of the 2018/2019 field campaign, scheduled for completion by the end of March 2019. Additional assays will be released as they become available. The financial information in this table were selected from the Company's consolidated financial statements for the year ended December 31, 2018 (the "Financial Statements"), which are available on SEDAR at www.sedar.com and the Company's website www.filo-mining.com. The Company incurred a net loss of $28.9 million during the year ended December 31, 2018, comprised of $24.1 million and $5.0 million in exploration and project investigation costs and G&A costs, respectively, compared to a net loss of $18.7 million for the year ended December 31, 2017. The variance is primarily due to relative nature and levels of exploration activity undertaken during the respective periods. Specifically, the larger net loss incurred during 2018 is due to the higher costs associated with the undertaking of a PFS study on the Filo del Sol Project during the period, which is a more advanced, detailed and costly study as compared to the preliminary economic assessment that was in progress during 2017. As at December 31, 2018, the Company had cash of $2.4 million and a net working capital deficit of $0.6 million, which includes $2.2 million drawn and outstanding against a short-term credit facility (the "Initial Facility"), compared to cash of $2.4 million and net working capital of $1.5 million, as at December 31, 2017. Despite having raised net proceeds totaling $24.4 million during 2018 from tandem equity offerings, as at December 31, 2018, this cash inflow has been more than offset by funds directed towards advancing the Filo del Sol Project through the PFS as highlighted above, funding of the current 2018/2019 field program which began in October 2018, and to a lesser extent, $0.5 million spent in relation to the annual option payment made for the Tamberias property in June 2018 and funds spent for general corporate purposes. On January 12, 2019, the Company obtained an unsecured US$ 5.0 million credit facility (the "Replacement Facility"), which replaced the Initial Facility, and into which any outstanding balance owed by the Company under the Initial Facility was transferred. In addition, on February 28, 2019, the Company obtained an additional unsecured US$ 5.0 million short-term credit facility (the "Additional Facility"). As a result, the Company has secured access to a total of US$ 10.0 million in funds, which will provide the Company with financial flexibility to fund ongoing activities at the Filo del Sol Project and for general corporate purposes. Nonetheless, the Company continues to evaluate potential additional sources of financing. Historically, capital requirements have been primarily funded through equity financing, joint ventures, disposition of mineral properties and investments, and the use of short-term credit facilities. Management is confident that additional sources of funding will be secured to fund planned expenditures for at least twelve months from December 31, 2018. The technical information relating to the PFS is based on a technical report titled "NI 43-101 Technical Report, Pre-feasibility Study for the Filo del Sol Project" dated February 22, 2019, with an effective date of January 13, 2019 (the "Technical Report"). The Technical Report was prepared for Filo Mining by Ausenco Engineering Canada Inc. ("Ausenco"). The Qualified Persons, as defined under NI 43-101, responsible for the Technical Report are Scott Elfen, P.E., Ausenco, Robin Kalanchey, P.Eng., Ausenco, Bruno Borntraeger, P.Eng., Knight Piesold Ltd., Fionnuala Devine, P.Geo., Merlin Geosciences Inc., Ian Stillwell, BGC Engineering Inc., Neil Winkelmann, FAusIMM, SRK Consulting (Canada) Inc., James N. Gray, P.Geo., Advantage Geoservices Limited, and Jay Melnyk, P.Eng., AGP Mining Consultants, all of whom are independent of Filo Mining. The Technical Report is available for review under the Company's profile on SEDAR at www.sedar.com and on the Company's website at www.filo-mining.com. The Company's consolidated financial statements for the year ended December 31, 2018 and related management's discussion and analysis are available on the Company's website at www.filo-mining.com or under its profile on SEDAR at www.sedar.com. This information was submitted by Filo Mining Corp. for publication, through the agency of the contact person set out below, on March 19, 2019 at 4:30 p.m. Pacific time. All statements other than statements of historical fact may be forward-looking statements. Forward-looking information is necessarily based on estimates and assumptions that are inherently subject to known and unknown risks, uncertainties and other factors that may cause the actual results, level of activity, performance or achievements of the Company to be materially different from those expressed or implied by such forward-looking information, including but not limited to: risks and uncertainties relating to, among other things, the inherent uncertainties regarding mineral reserve and resource estimates, cost estimates, changes in commodity prices, currency fluctuation, financings, unanticipated resource grades, infrastructure, results of exploration activities, cost overruns, availability of materials and equipment, timeliness of government approvals, taxation, political risk and related economic risk and unanticipated environmental impact on operations as well as other risks, and uncertainties and other factors, including, without limitation, those referred to in the "Risks and Uncertainties" section of the Company's most recent MD&A and/or Annual Information Form, under the heading "Risks Factors", and elsewhere, which may cause the actual results, level of activity, performance or achievements of the Company to be materially different from those expressed or implied by such forward-looking information. The Company believes that the expectations reflected in the forward-looking information included in this press release are reasonable but no assurance can be given that these expectations will prove to be correct and such forward-looking information should not be unduly relied upon. Information contained in this press release is as of the date of this press release. In particular, this press release contains forward-looking information pertaining to the assumptions used in the PFS for the Filo del Sol project, the assumptions used in the mineral reserves and resources estimates for the Filo del Sol project, including, but not limited to, geological interpretation, grades, metal price assumptions, metallurgical and mining recovery rates, geotechnical and hydrogeological conditions, as applicable; ability to develop infrastructure; assumptions made in the interpretation of drill results, geology, grade and continuity of mineral deposits; expectations regarding access and demand for equipment, skilled labour and services needed for exploration and development of mineral properties; and that activities will not be adversely disrupted or impeded by exploration, development, operating, regulatory, political, community, economic and/or environmental risks. In addition, this press release contains forward-looking information pertaining to the undertaking of and timing for the completion of a Feasibility Study or a feasibility-level study; potential results of further metallurgical testwork; ability to secure additional financing and/or the quantum and terms thereof; exploration and development plans and expenditures; the timing and nature of studies and any potential development scenarios; opportunities to improve project economics; the success of future exploration activities; potential for resource expansion; potential for the discovery of new mineral deposits; ability to build shareholder value; expectations with regard to adding to mineral reserves or resources through exploration; expectations with respect to the conversion of inferred resources to an indicated resources classification; ability to execute planned work programs; estimation of commodity prices, mineral reserves and resources, costs, and permitting time lines; ability to obtain surface rights and property interests; currency exchange rate fluctuations; requirements for additional capital; government regulation of mining activities; environmental risks; unanticipated reclamation expenses; title disputes or claims; limitations on insurance coverage; and other risks and uncertainties.